Your muscles, tendons, ligaments, and bursa are all susceptible to damage from daily stress and sports activities. These tissues can be stressed by an imbalance in muscle strength (when one muscle is much stronger than its opposing muscle), lack of flexibility, or weakness caused by a previous injury. A fall, a sudden twisting motion, or a blow to the body is sufficient to cause any of the following problems. Using the injured part before it has healed completely often leads to reinjury. Concerns corticosteroid drug to relieve symptoms. Even with successful treatment, however, the condition may recur. If bursitis recurs frequently, the affected bursa may be removed in a minor surgical procedure called bursectomy. A contusion refers to a bruised muscle, tendon, or ligament. Following injury, blood pools (collects) in the injured area and discolors the skin. Most contusions respond well to RICE: rest, ice, compression, and elevation (see page 65). However, if you do not see improvement or if the pain worsens, contact your doctor as soon as possible so he or she can take steps to prevent permanent damage to the soft tissues. Tendons are cordlike tissues that connect muscle to bone. Inflammation of a tendon is called tendinitis. The condition usually results from excess friction between a tendon and a bone. Tendinitis usually occurs after long-term stress that aggravates a specific tendon. Professional athletes and workers engaged in repetitive job activities are at high risk for tendinitis. Although any tendon can become inflamed, the tendons of the shoulder, wrist, heel (Achilles tendon), and elbow are most susceptible to overuse injuries. 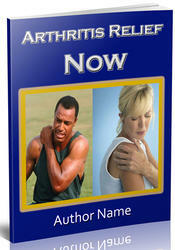 Symptoms of tendinitis include pain, tenderness, and, in some cases, restricted movement of the attached muscle. 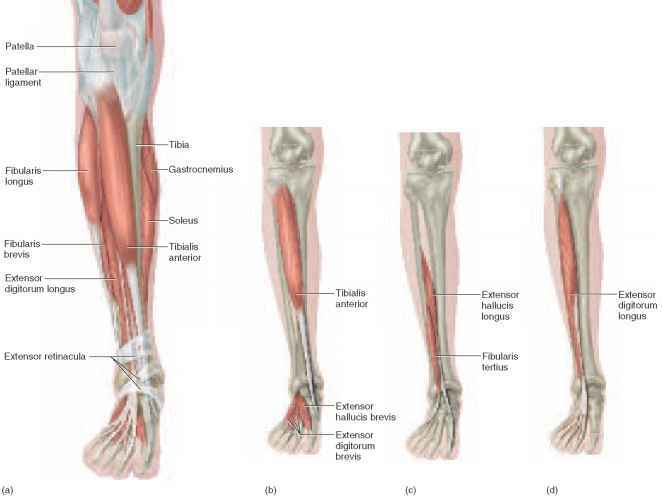 Treatment of tendinitis may include making changes in your activities or routine, receiving corticosteroid injections, taking nonsteroidal anti-inflammatory medications such as aspirin or ibuprofen, splinting (immobilizing the tendon), and performing exercises to correct muscle strength imbalance and improve flexibility. Persistent inflammation that does not respond to other forms of treatment may require surgery. Many people use the terms "sprain" and "strain" interchangeably. However, a sprain refers to stretching or tearing of ligaments (which connect bone to bone), while a strain refers to stretching or tearing of tendons (which connect muscle to bone) and their attached muscles. Sprains most often occur as a result of excessive twisting motion in the ankle, knee, or wrist. Strains often occur in the foot or leg. Mild sprains and strains are treated with RICE (see page 65) followed by gentle exercises to relieve the pain and restore mobility.